Begin with a basic design from a stencil, a ruler or template, an applique, a fabric print, a cookie cutter or a shape you draw yourself. Then, learn to transform that design from basic to spectacular by extending, expanding, and adding secondary designs, repeats, fills and special effects. 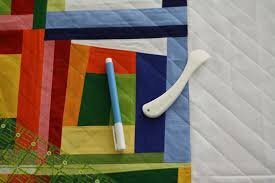 Learn marking techniques and tools for applying designs to quilt tops.